Staff was friendly, check in was easy. The apartment was large and very clean and updated. Would stay there again. 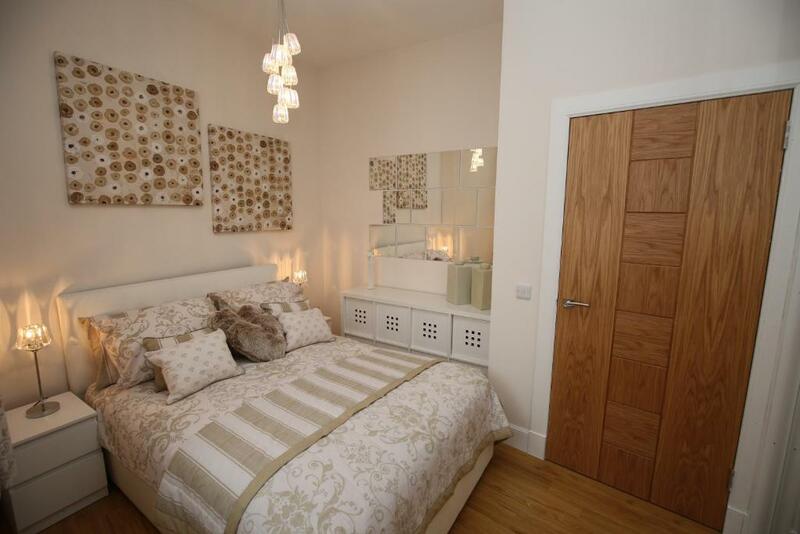 Great location, flat nice and modern feel and nice and bright and airy. Would recommend. We will come back. Excellent kitchen facilities to do some home cooking on the evenings when the weather prevented us venturing out. 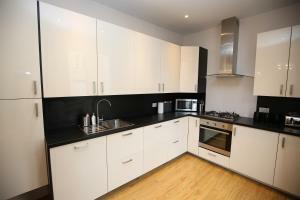 Quite near to a supermarket and also very handy for Haymarket train station. Superb property with all the trimmings in the heart of Edinburgh. Great parking and Jay was pleasant and helpful. Location was ideal for train station and all the local public transport, we travelled by train and having no car wasn’t an issue, getting around was very easy. 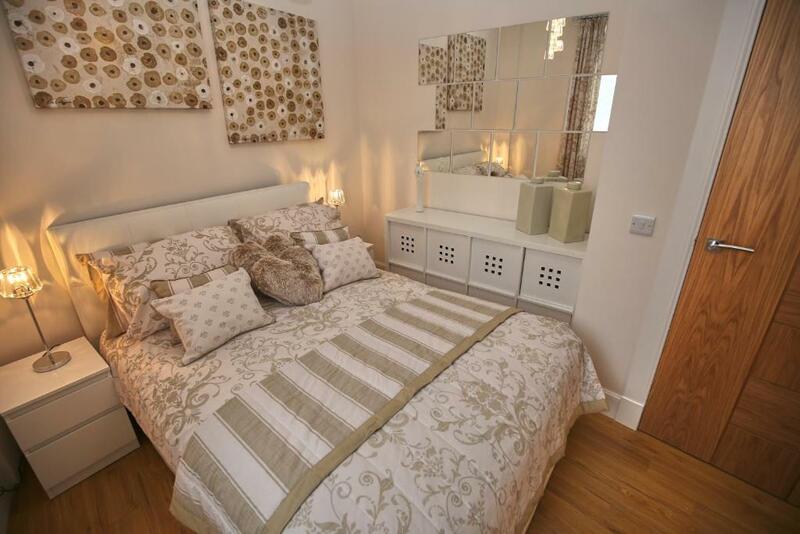 Huge 2 bedroom apartment and tastefully decorated. Lock in a great price for Edinburgh Pearl Apartments Dalry House – rated 9.3 by recent guests! 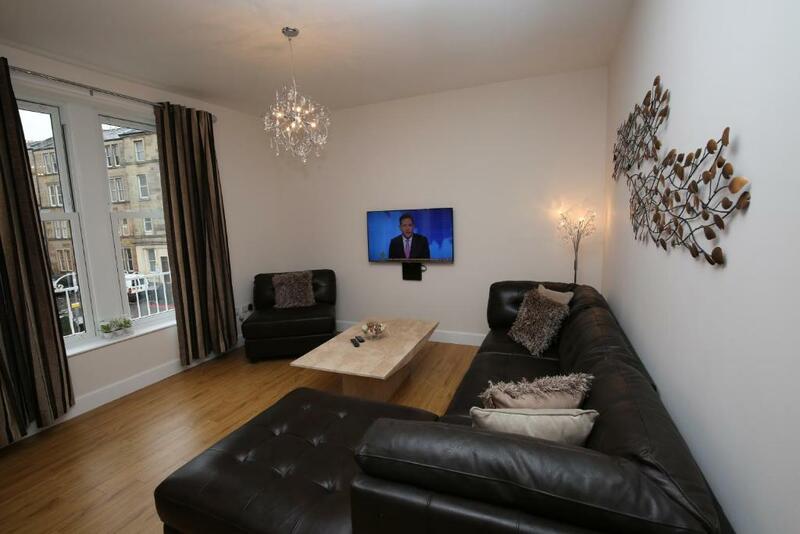 Edinburgh Pearl Apartments Dalry House This rating is a reflection of how the property compares to the industry standard when it comes to price, facilities and services available. It's based on a self-evaluation by the property. Use this rating to help choose your stay! One of our best sellers in Edinburgh! 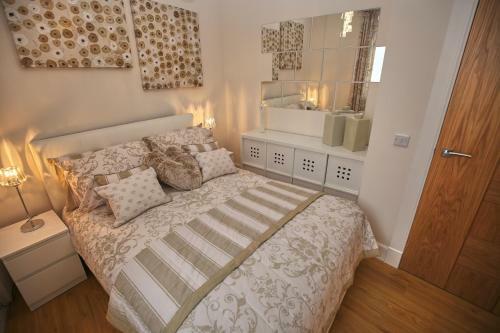 Edinburgh Pearl Apartments Dalry House is a self-catering accommodations located in Edinburgh, just a 10-minute walk from Princes Street and Edinburgh Castle. The property is 1,950 feet from EICC. Free WiFi access is available. The apartment features a living room with a flat-screen TV and DVD player. There is a fully equipped kitchen and dining area with a dishwasher and a microwave. 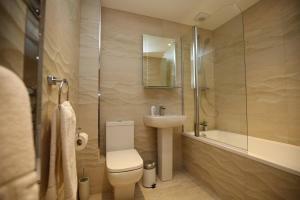 There is an private bathroom in 1 of the 2 bedrooms, and an additional bathroom with a bath and shower. If you feel like visiting the surroundings, check out Murrayfield Stadium (0.9 mi) and Royal Mile (1 mi). Glasgow Airport is located 47 mi away. The property offers free parking. 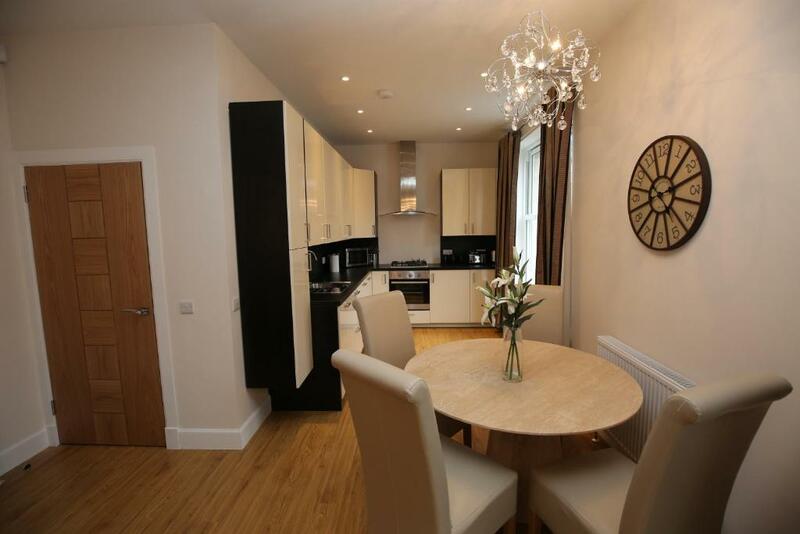 When would you like to stay at Edinburgh Pearl Apartments Dalry House? This apartment features a living room with a flat-screen TV and DVD player. There is a fully equipped kitchen and dining area with a dishwasher and a microwave. 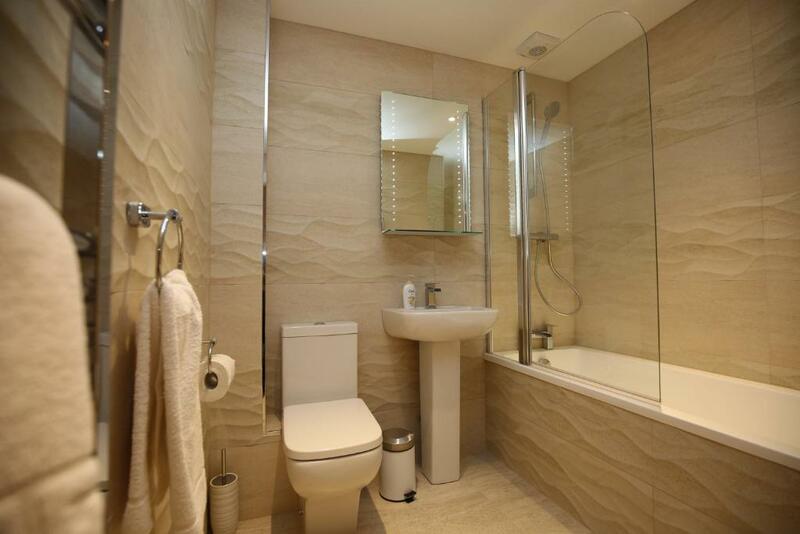 There is an private bathroom in 1 of the 2 bedrooms, and an additional bathroom with a bath and shower. House Rules Edinburgh Pearl Apartments Dalry House takes special requests – add in the next step! A GBP250 damage deposit is required on arrival (around USD323.46). This deposit will be fully refunded 7 days after check-out, as long as there isn't any damage to the property. Edinburgh Pearl Apartments Dalry House accepts these cards and reserves the right to temporarily hold an amount prior to arrival. Please note that stag, hen or young groups are not accepted at this property. Please call the property before arrival to pay the deposit and remaining balance. Otherwise, the remaining balance is due by cash upon arrival. Please note that the guests on the booking confirmatiun must be the guests staying at the apartment. Photographic ID is required upon arrival in the name of the person who has booked the apartment. Early check-in is possbile upon request. Please note that you will be charged for any damages found in the apartment. Evidence of smoking in the apartment incurs an additional fee of GBP 60. Please inform Edinburgh Pearl Apartments Dalry House of your expected arrival time in advance. You can use the Special Requests box when booking, or contact the property directly using the contact details in your confirmation. A damage deposit of GBP 250 is required on arrival. That's about 323.46USD. This will be collected by credit card. You should be reimbursed within 7 days of check-out. Your deposit will be refunded in full by credit card, subject to an inspection of the property. Lovely flat but it needs a few repairs. the smell in the apartment. A little surprised at the lack of comfort in the double bed. Also finishing touches like a second television in the bedroom would have helped. The living room was definitely lacking a comfortable easy chair as the only seating is a very slippy L shaped setee. Very busy main road location with traffic noise and chatter easily heard through the windows even when shut. The bath took an age to fill up also. The beds were very uncomfortable. The fumes from the nail bar below the apartment were at times overpowering. Would stay again if the beds/mattress’s were better. Bedroom curtains were hanging tattily from rail, but that is being very picky, the apartment was overall very acceptable. The apartment was equipped with everything we needed. We enjoyed the walk into the city centre each day, and thoroughly enjoyed our stay. I didn't realise that it wasn't part of a complex. 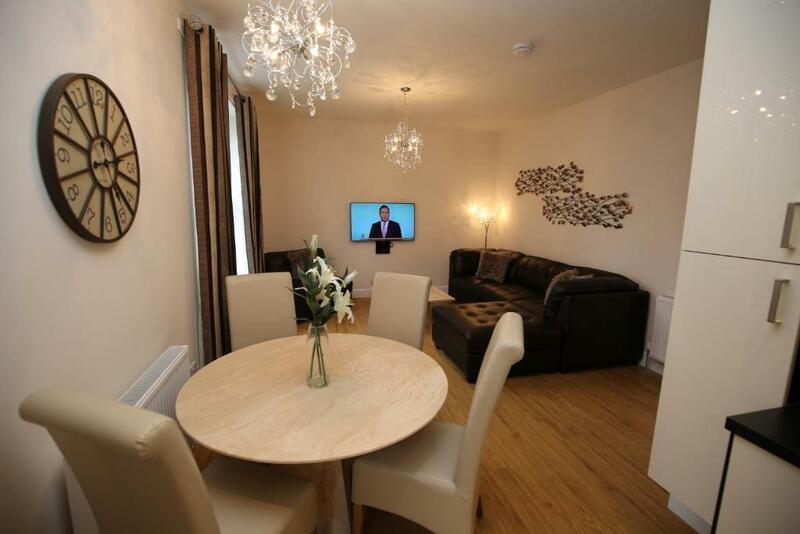 When booking, I was under the impression that it was an apartment with other surrounding apartments and a reception. However, when the taxi pulled up outside, I thought we was in the wrong location, as it was a door in between two shops. I have stayed in Edinburgh before and stayed in the Old Town, which I preferred. Very clean and if you are staying longer than a couple of days, it has everything you need. 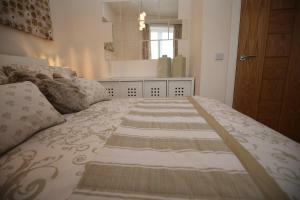 It is furnished to a high standard and has two bathrooms which is great if there are a few of you staying there. Plenty of clean towels and bed linin was fresh and very clean. The host was there to meet us with the keys and called twice to check our arrival time. It has everything you need from dishwasher to washing machine. Property larger than expected. Spotlessly clean. Every eventuality thought of. Great loacation. Very helpfull hosts. Many thanks.